The Year of Open Doors… | Scots Whay Hae! 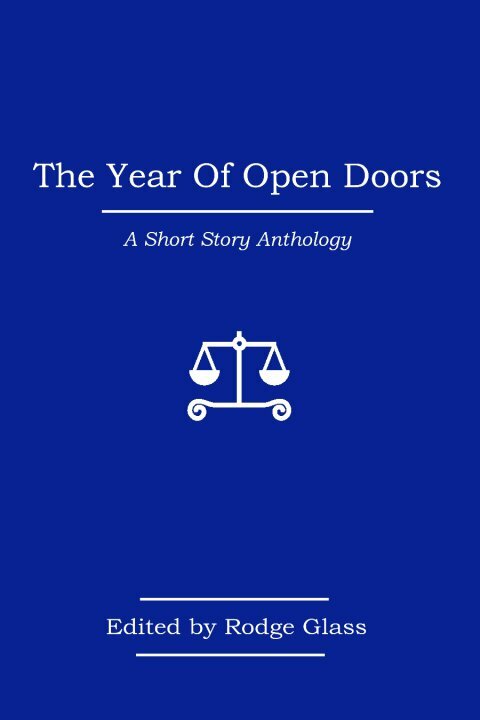 A new short story anthology The Year of Open Doors is launched at Waterstones in Sauchiehall Street today ay 6.30pm. I’ve been lucky enough to have read an advance copy and there’ll be an Indelible Ink column on it over at .Dear Scotland in the coming days. I’ll flag that up when the time comes, but what I can say at this point is that it is a rather special read. As regular readers will know I’m forever banging on about the importance of the short story and how it is undervalued so it will be no surprise that I support this publication. What could not be taken for granted was the quality of the writing. Luckily it is of the highest quality throughout. Editor Rodge Glass in partnership with Cargo publishing’s head man Mark Buckland cast their net far and wide to try and build an anthology that concentrates on the work itself rather than who have written it. As such there is a healthy mix of the well kent and the lesser known. Writers such as Alan Bissett, Kevin MacNeil and Suhayl Saadi share space with Tawona Sitole, Micaela Maftei, Helen Lynch and others. There were two names in particular that immediately excited me. Duncan McLean is the writer of two of my favourites Scottish novels, namely Bunker Man and Blackden. These days he is better known as a playwright so it is great to have him back writing prose. The other is the boy from the Arab Strap Aidan Moffat. His 2007 album I Can Hear Your Heart was basically an album of poetry and his further adventures in literature are to be welcomed. Whether by design or accident The Year of Open Doors is the most representative collection of fiction in a Scottish context that I can think of. It cuts across nationality, class, gender and genre to reflect the current mood and make-up of Scottish culture. The Year of Open Doors is launched in Glasgow on the 27th July at Waterstones in Sauchiehall Street with appearances by Kirstin Innes, Aidan Moffat and Jason Donald. 30th: Chemikal Underground Audiobook Launch Night: Burnt Island, Adrian Crowley, Ryan Van Winkle, Alan Bissett, Doug Johnstone, plus special guest.